The character of Superman presents an unusual challenge in the post-9/11 era of superheroes. We like our superheroes tortured and conflicted now, as a reflection of America’s uncertain place on the world stage. But historically, Superman has never had such inner conflict. To the contrary, he is more of a hokey do-gooder than a tortured soul, making him distinctly out of place in our age of cynicism. This could be one reason why 2006’s Superman Returns –a continuation in spirit of the sunny Christopher Reeve movies of the late 1970s and 1980s – failed to resonate with the American public. But the Hollywood hit machine offers endless chances for redemption. With Man in Steel – a busy, occasionally transcendent, but ultimately frustrating reboot of the franchise – Hollywood has found a way to show the conflict in this perpetually single-minded superhero: by framing him as a man stuck between two worlds, his native Krypton and his adopted home America. While most recent superhero films have used their protagonists’ moral anguish to reflect American ambivalence over the War on Terror, Man of Steel latches onto a different issue, and it’s one currently being debated in Congress: immigration. You know, we probably should have seen this coming. Superman is the only immigrant superhero. The character was created by Jerry Siegel and Joe Shuster, both sons of Jewish immigrants who tapped into their own feelings of otherness and cultural isolation to create what is widely considered to be the first and most lasting American superhero (why the two Jewish writers named their character after a Nietzsche concept that inspired Hitler is another dissertation altogether). But Seigel and Shuster created Superman to be a champion of the oppressed; Snyder and co. have steered the character into a hard Right turn. The film begins with an extended sequence on Krypton that is overstuffed with topical political references. The planet has been tapped of its natural resources and is on the verge of total destruction. The council of elders is criticized for hosting “endless debates” while serious issues have gone unaddressed – does that sound like any legislative chamber we know? And the infant Superman, here known as Kal-El, is a paradigm of American freedom: he is Krypton’s only living child born of a natural birth, instead of the Matrix-like pods in which Krypton’s citizens are typically created and birthed. Of course, Krypton is not long for this world, and the film soon reverts to established Superman mythology in depicting Kal’s upbringing in Smallville, Kansas. He is encouraged by his father (an affecting Kevin Costner) to hide his powers from others, but he is eventually outed by General Zod, a Kryptonian who managed to escape the planet and has come to Earth to use Superman in his dastardly plot. If you were trying to create a villain who represented an ultra-conservative view of immigrants, could you do better than General Zod? Consider his plan: emigrate to a foreign planet, destroy its inhabitants, and rebuild his own country on its ashes. I’m pretty sure I’ve heard Glenn Beck talk about Mexicans in those terms. Yes, the conservative side of the debate over illegal immigration really comes down to a fear that too much immigration will dilute and eventually destroy American culture from within – that’s why they focus on efforts like making English the national language. 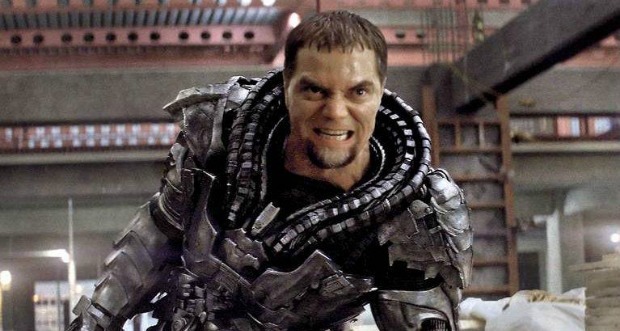 Man of Steel represents this deep-seated fear in the form of Zod. But are we asking for too much? Some will say that it’s impossible to have a nuanced discussion of such a complex political issue in a summer blockbuster, but how short our memories are. Christopher Nolan, one of this film’s producers, did just that with The Dark Knight, a thoughtful, ambiguous take on the War on Terror. But that film succeeded in provoking thought on the back of its brilliant depiction of villainy. Heath Ledger’s Joker had a consistent perspective that was, yes, insane and villainous, but also at times relatable. He was a formidable onscreen villain because he challenged not just Batman’s moral code but also our own. General Zod does not. His plan is to kill every human on the planet, which is not exactly an idea we can get behind, and Shannon’s intense, bug-eyed performance lends little humanity to an underwritten role. He never engenders a whiff of audience sympathy, and Superman is never once tempted to choose Krypton over Earth. As such, the subtextual debate over immigration represented by these characters is rather one-sided. 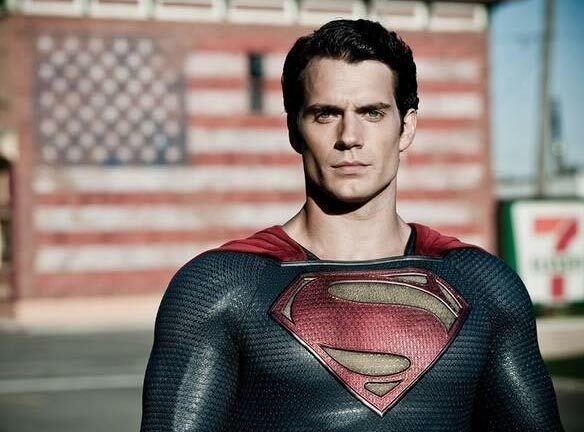 There is never a doubt as to which side Superman will choose: U-S-A! U-S-A! All of which makes Man of Steel feel much more like conservative immigration propaganda than thoughtful discourse of a timely political issue. In retrospect, we might have seen this coming with those National Guard commercials, but I held out hope for a movie hero who eschewed politics and truly brought the people of our planet together. Turns out that Superman’s reach can’t stretch oceans, after all; in fact, it doesn’t even cross party lines.